AC Milan boss Gennaro Gattuso continues to defy his critics as his side completed yet another comeback. Finding themselves a goal down versus Parma at the weekend, a 2-1 victory would eventually see the San Siro outfit leapfrog Lazio into the highly coveted fourth place in the table. After the visitors had taken the lead, it was 20-year-old Patrick Cutrone who put the Rossoneri back on level terms before a Franck Kessie penalty sealed the win after a decent performance from Milan. That veteran right-back Ignazio Abate was drafted in as a makeshift central defender – due to the injury crisis that has wiped out all three first choice players in that position – only served to highlight just how tenacious this side has become, and they will face another tough test when they host Torino on Sunday. The Granata have also proved to be difficult to beat this season as they moved up to sixth in the table following a comeback performance of their own versus Genoa at the weekend. Coach Walter Mazzarri had returned from a one-game spell away from the bench after a health scare, and opted to deploy strikers Simone Zaza and Andrea Belotti together up front for the first time. They would mount their own comeback as Genoa took the lead on 35 minutes, their two stoppage time goals in the first half enough to seal a 2-1 win. Yet Mazzarri was still not satisfied with the overall display. Milan may be at home here, but this will be by no means an easy fixture. Gattuso must still contend with the injuries at centre-back, a weakness that could well be exposed by Belotti and Zaza. The Granata are undefeated in their last nine away matches, meaning that the home side must come out and attack, which could leave them exposed on the counter. Yet the Rossoneri have no real problems finding the back of the net, having scored at least two goals in eight of their last nine home matches, indicating that a score draw could well be on the cards here. That was the outcome in 50 per cent of the last six outings between these two sides, and you can get odds of 13/5 to this end with Bet365. Yet given the stats, it’s sensible to improve the potential return by backing a draw and both teams to score on this occasion, available at 7/2 with 888Sport. Walter Mazzarri’s men have come back to secure a draw after finding themselves in a losing situation on no less than three occasions already this term, 1-1 draws with Fiorentina and Udinese coupled with a sensational second half performance away to Inter which saw Torino reverse a 2-0 deficit to secure a final score of 2-2. With this in mind, you can find good odds of 14/1 on Milan to be winning at half-time but the match resulting in a draw by full-time with Bet365. A score draw is also available at 15/4, with either option more than worth your while here. 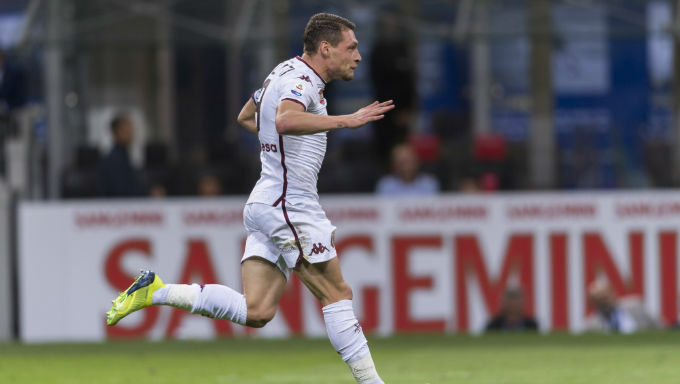 Serie A fans didn’t see Belotti’s trademark rooster celebration too often as the striker went through a barren spell, but he has begun to crow again with a return to form of late. The Italy international has three goals and an assist in his last four matches, and it certainly looks like he is now returning to his best. Belotti is 17/4 to score first or last with Karamba and 13/10 anytime, while you can place a bet on the number nine to fire in twice or more – a good option considering he is the designated penalty taker – at 13/4 with the same site. Indeed, the 24-year-old has found the net with each of his last three penalties taken, an impressive return after having scored only two of the previous seven.